Visit your supporting industry links who help make your competition what it is today. Send them an email to let them know just how much you appreciate their support. They are there for you because they believe in this industry. The printing industry will be ever evolving, as it should, to keep up with change and technology. We strive to keep the competition as real world as possible. There will always be need for PRINT and TALENT in many forms from concept and design, to print and finishing the final product. It's one circle that cannot be complete without each talent. Find your talent and strive to be the best at it. 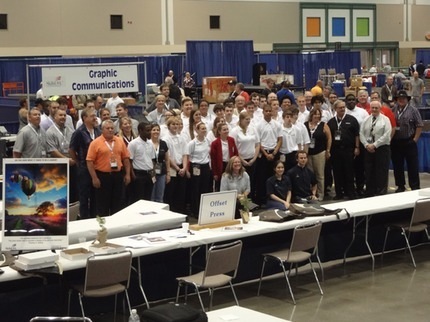 Help make the world of print into a final product… Support your industry and they will support you. 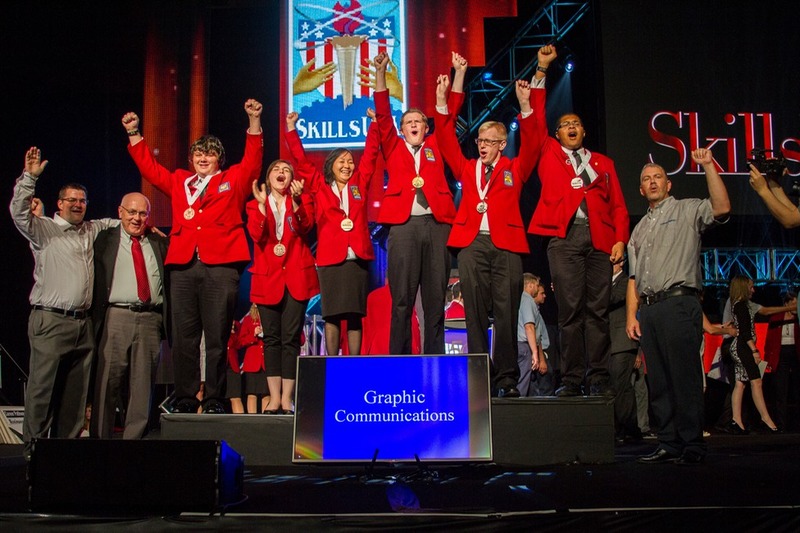 The SkillsUSA National Graphic Communications Contest from 2015 is now available for download by your State Coordinator. 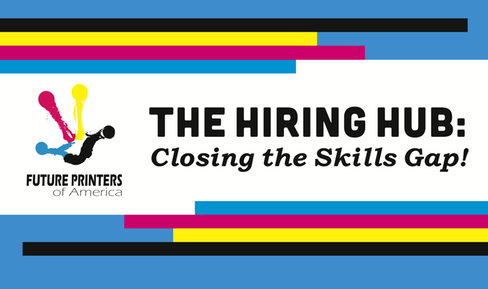 Have your State Coordinator email us their information so we can invite them to the folder that contains all of the Native files, Test materials, Instructions and Score sheets from each area of the contest. 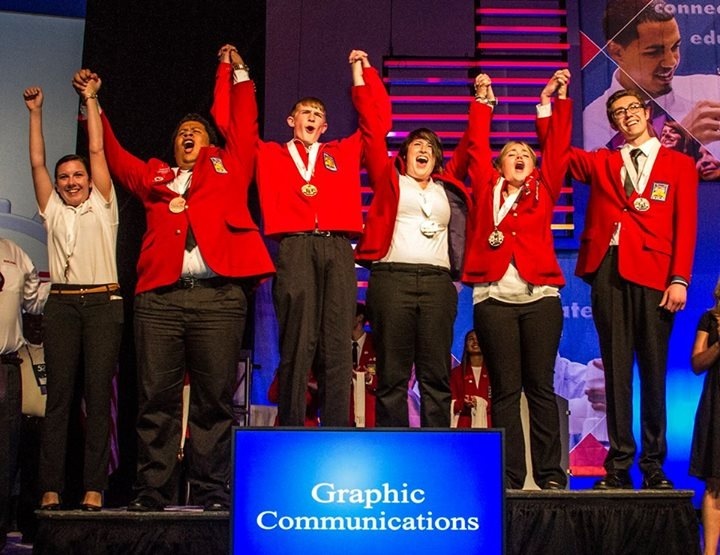 This will give you the opportunity to make your State Contest Match the Materials Used at Nationals. 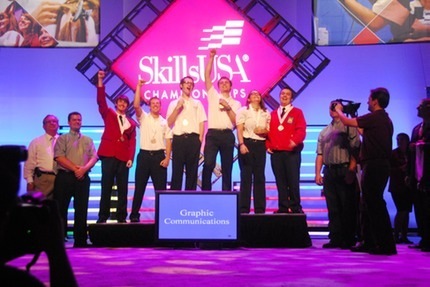 An official email will be going out to all of the State Coordinators from SkillsUSA providing them with this information as well. 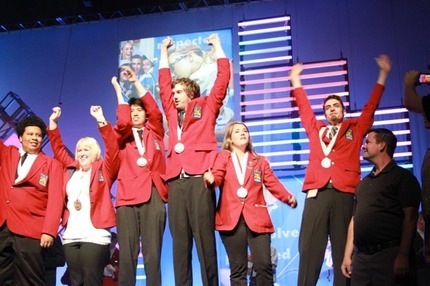 First group picture from the 2012 contest!